Binoculars have a whole range of use- whether it's bird watching, sailing, plane spotting or anything else, a pair of binoculars are a handy item that can give you a clear and close-up view of distant objects. Are you looking for high-quality binoculars? Then you have come to the right place! We offer UK customers a large range of binoculars, spotting scopes, night vision binoculars, telescopic sights, rangefinders and binocular accessories. 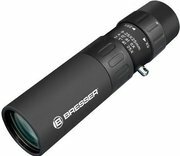 Top binocular from brands such as Zeiss, Steiner, Kowa , Bynolyt, Meopta, Bresser and Bushnell, all available in one place. Are you an avid hunter, a bird watcher or a plane spotter, or are you looking for binoculars for astronomy, sports or marine activities? You will definitely find a pair of binoculars that meet your specific requirements. Should you need help or advice in choosing your binoculars, then please do not hesitate to contact us: our binocular-experts are ready to assist you! Want to buy binoculars? During your search for the perfect product, you must have noticed that binoculars are defined by a few features. Usually, the brand name is listed first, followed by the series name, the magnifying factor, the objective diameter, and, sometimes the binocular type (porro or roof). Optisan Cobra 10x42 binoculars, for example, are produced by the Taiwanese company Optisan and are part of the Cobra series. The binoculars have a magnification factor of 10 and the diameter of the objective lens is 42mm. If you intend to buy binoculars, you will have to know at least little bit about the above-mentioned features. Want to know which are the best binoculars for you to buy? Actually, there is no such thing as 'best binoculars'. There are various types, of binoculars . The terms ‘roof’ and ‘porro’ binoculars say something about the composition and quality of the prism system on the inside of the binoculars. 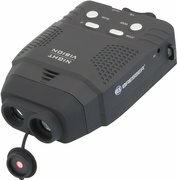 Simply put, roof binoculars are equipped with lenses and prisms that contain a part where two faces meet at a 90 degree angle. In porro binoculars, on the other hand, these faces are placed at an angle to each other, which causes a slight bend in the housing of the viewer. As a result, roof binoculars are generally more compact. The prisms of roof models, however, are often more expensive. As a result, the price of a roof viewer is relatively higher. It is certainly wise to have a clear idea of the primary purposes of a pair of binoculars before buying. This will enable you to buy the best binoculars accordingly to your requirements and budget. Some binoculars for bird watching are equipped with a zoom eyepiece which enables you to change between various magnification factors manually. This is very handy when observing in open landscapes featuring objects that are at a considerable distance from each other. Should you happen to spot remarkable birds at distances of 10 to 80 metres, then you can easily zoom in in order to be able to observe both birds. A disadvantage of a high zoom (magnification) is the relatively unstable image, which makes it difficult to follow birds and planes with your binoculars. For these purposes we recommend using a tripod. When selecting binoculars for safari fand similar activities, it is important to make sure that the front lenses are sufficiently large. The diameter of these objective lenses -the size of the lens that is aimed at the object that you want to observe –is indicated in millimetres and influences the clarity of the image as well as the dimensions of the entire viewer. The bigger the objective lens, the more light is captured by the binoculars, and the better the viewer can be used in dusky areas. Do you intend to go to Africa and do you need binoculars for safari? Or are you all set for hunting in the woods? Then it is very sensible to choose binoculars with a large objective diameter. From experience we know that it can be difficult to keep a clear overview of all the various binoculars that are on the market these days, that is why we try and make our website as informative and helpful as possible. We strive to inform you extensively about the technical specifications. While visiting our website, you will gradually become a binocular expert yourself! 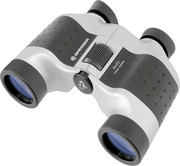 Are you looking for children´s binoculars, travel binoculars or hunting binoculars? Or could it be that do wish to do some digiscoping? Soon enough you will have considerable knowledge of the wonderful world of binoculars. Our binoculars are explained in simple terms, so that the information on our website is easy to grasp. It is safe to say that Bushnell binoculars are affordable and of high quality. Especially the Bushnell Powerview models are really popular models which offer you a great viewing experience. The viewers from this Dutch manufacturer are, again, surprisingly affordable. By all means have a look at the Bynolyt Seafarer range: as the name implies, these binoculars are favoured by many for use at sea. 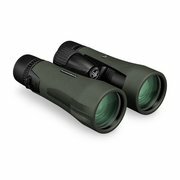 Made in Germany, these binoculars are of exceptional quality. Are you planning on going on safari? Then do have a look at the Steiner safari binoculars. They are the number one choice here. Another German giant which offers exceptional quality and probably does not need an introduction. Zeiss Victory binoculars, for example, are famed for their supreme glass quality. With these viewers you obtain crystal-clear images which are rich in detail, even in twilight situations.